We continue onwards towards 2019! March has arrived and that means it's time to test how lucky you are! Test your luck in these events! Purchase any of the following IMP bundles and you'll get bonus items! Note6: Only the bundles specified above will give the bonus gifts. You can verify the bundle details before making a purchase. Purchase any amount of IMPs over or equal to 1,000 in the time period listed above and you will get 15% more Item Mall Points! Note2: Pouch of Melancholy gives you the items to upgrade your existing Rage/Sage weapons into Hydros Weapons(Lv150). All gems and apparels will be transferred during the upgrade. Note3: Raid Crystal allows you to upgrade your existing Hydros Weapons(Lv150) into Raid Weapons(Lv175). All gems and apparels will be transferred during the upgrade. Note7: When purchasing Raid Forged Pack, you will get the amount of weapons necessary for your class. I.e, Crusaders 2x and so on. Note8: You will be able to choose the gems you want in your forge pack from your storage box. Bonus voting rewards on Sunday will be between 5-6x the amount! Note3: Prizes for the auctions will be delivered to the winner's storage boxes within 24 hours after each auction ends. Note1: You can win up to 4 of the bonus items per wheel. If you win the item, it will be delivered to your storage box and the quantity left will decrease by 1. The winning account will be hidden and shown on the side of the wheel page. For 24 hours, you can purchase any of the following Equipment Packs in the IGS! For 24 hours, you can purchase any of the following Potion Packs in the IGS! Note1: The packages will show up in the [Promotion] tab of the IGS at random times on the dates specified above. Note3: The packages will not all appear at once. Each package has it's own time to appear within the 24 hours. 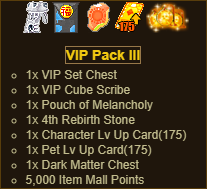 For 24 hours, you can purchase any of the following Augment Packs in the IGS! Note3: RMG and SMG will not appear at the same time. They have their own time to appear within the 24 hours. The most challenging bosses, Snake Queen and Raid Dragon Igneel, are breaking out of their respective raids! They are gathering an army of bosses and will be attacking the following areas. Gather up players and try to defeat the bosses! The bosses have broken free and they are going to wreak havoc on the ROSO Havens! After the siege of the havens, Elder Wyvern will spawn once in each major town (Argent, Icicle, Shaitan).